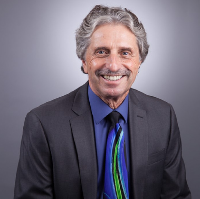 Dr. Larry Bienati has over 30 years’ senior level leadership experience in numerous organizational settings. Since 1988, Larry has taught in many Bay Area Universities, including Saint Mary’s College where he served as lead faculty for the highly successful accelerated BA in Management Program, U.C. Berkeley’s Worldwide Business Programs, the California Maritime Academy and his current role at Sacramento State University serving in faculty roles for many executive leadership development programs and the EMBA program. Larry is a respected professional speaker, consultant, author, and practitioner in the areas of human resource strategy, complex employee relations, labor relations, executive compensation, strategic planning, Carver Board Governance Models and high level facilitations. In recent years, Larry has dedicated his practice to strategy formulation, change management, start-up ventures, merger integration, leadership development, succession planning and ownership transitions. Larry held senior level positions at Safeway Stores, Longs Drug Stores and The Cooper Companies, Inc. He was a senior leader, principal owner in the Kleinfelder Group of Companies an ENR Top 50 geotechnical, environmental and management consulting firm. Larry holds a BS Degree in HR/Labor Relations and an MBA in Strategic Management. After a 10-year reality check in business, while growing a family with his wife Cathy, he returned to school to earn his Ph.D. in Business Administration. His dissertation focused on original research in the rehabilitation of problem employees along with organizational turnaround strategies. Larry is also a Certified Compensation Professional and a lifetime recipient of the Senior Professional in Human Resources designation with SHRM for his early work in HR in advancing the legacy of the HR profession. Larry’s life-long learning comes from Sicilian roots at their family-owned restaurant, Ann’s Café, in Oakland, California. This wonderful 42-year legacy experience has helped shaped many of the qualities of leadership and people success he brings to the classroom and the business world. Ann’s Café embodied all that was good in the “heart of leadership” and service to the community. Larry consults for some of Fortune’s top companies in America. He also brings 30 years of public sector experience having consulted for many leading Federal, State, County and local agencies, municipalities in a wide variety of strategic organizational and leadership transition interventions. He is the past volunteer Board President for the Sierra State Parks Foundation and served on various Boards and Advisory Groups. His notable clients include: State of California, League of California Cities, The French Laundry, major wineries, biotechnology, technology, water, finance, engineering organizations and over 200 clients across many industry sectors. Larry brings a rich diversity of experience, passion, practicality and inspiring engagement with his leadership development programs, seminars, keynotes, clients and executive MBA students. Larry donates 10% of his practice each year to assisting non-profit organizations and public sector clients in promoting their social missions. Larry is known for building collaboration, enabling visions, mentoring successful leaders and passionately evangelizing and inspiring others to become legacy leaders. 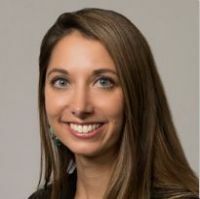 Christina Nishiyama has over 10 years’ senior human resource and organizational development experience, as well as a history of successful leadership in business strategy, project management, finance, and information technology. She has a prosperous track record of establishing human resources and financial operations within for-profit and non-profit organizations. Her expertise lies in establishing people-driven organizational cultures, executive and front-line talent acquisition strategies, employee and labor relations, and competitive total compensation plans that are tightly aligned with financial goals. Christina received her bachelor’s degree in Economics and Psychology from the University of California, San Diego and her MBA from San Diego State University. She also holds her PHR and SHRM-CP certifications. She is an active member of SHRM, serving on the National Young Professionals Advisory Board from 2010 to 2013, and as Board Chair of Southern Nevada SHRM Young Professionals from 2012 to 2016. Christina is also a graduate of the Las Vegas Chamber of Commerce Leadership Las Vegas class of 2015 and currently serves as a board member on the Leadership Las Vegas Council. Prior to consulting, Christina served as the Director of Human Resources at MGM Resorts International. At MGM, Christina managed the HR strategic plan and project management office. She was later promoted to lead HR operations at Vdara Hotel and Spa on the Las Vegas strip. In her earlier role as Director of Human Resources & Finance for The Mob Museum, Christina served as the senior human resource, finance, and information technology professional for The Mob Museum. During her tenure, the Museum was awarded a top workplace accolade in 2014 and serves as the first successful historic tax credit transaction in southern Nevada. Her background in various industries, including hospitality, arts, culture, construction, and technology has provided a solid backdrop for her career in human resource consulting at Consultants to Management, where she works with leading clients in California and Nevada on an array of human resource and operational needs. Although Christina is very passionate about her work, her background as a 20-year competitive swimmer continues to fuel her passion for outside athletic activity in the pool, and as an avid runner. She also volunteers her time as a books and buddies mentor at Spread the Word Nevada. She is a proud mother and wife, who enjoys travelling the world with her family. Angelina Applegate has been advising and counseling students in higher education for the past 5 years. She has worked in several institutions, including: UC Berkeley, UC Davis, Diablo Valley College, and Solano Community College. Besides her work with Consultants to Management as an Academic/Career Consultant, Angelina also works as an Adjunct Counselor the MESA program at Diablo Valley College. Her role there involves helping first-generation, disadvantaged, prospective STEM students. She provides one-on-one counseling, teaches self-development/career courses, and leads workshops for the program. Angelina received her master’s degree in Counseling from Saint Mary’s College of California in 2013. Her focus areas were Career and College Student Services. With a passion for health and wellness, her master’s thesis focused on stress management and well-being for traditional undergraduate students. She received her bachelor’s degree in Art History from University of California, Davis in 2010. In her time counseling students at UC Berkeley and UC Davis, Angelina has worked with a diverse range of students, pursuing a variety of major tracks. Some specific departments she has worked with include: Art History, East Asian Studies, Economics, History, and Wildlife Biology. In her current role at Diablo Valley College, she works with undeclared students, STEM students, liberal arts students, and everything in between. Angelina has a passion for helping others and can help navigate in the exploration process. 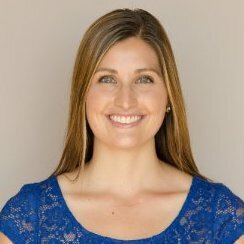 Outside of work, she enjoys visiting museums, hiking, paddle boarding, running, and walking her dogs (Sierra and Loki).